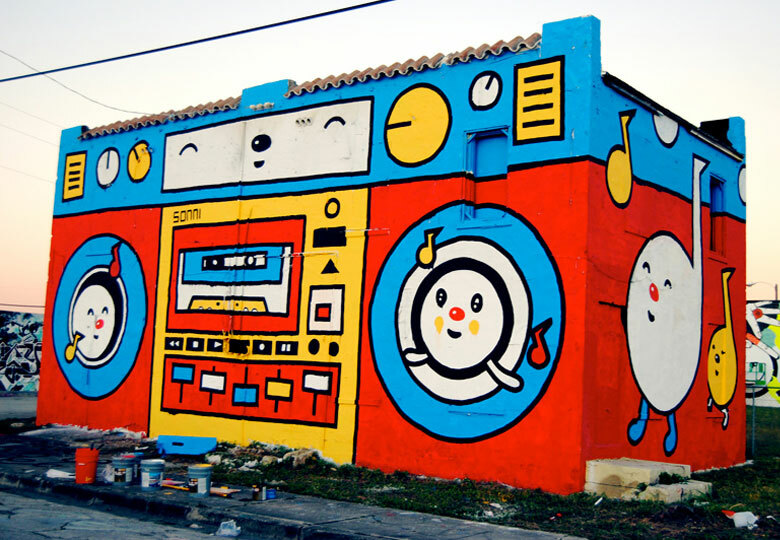 Sonni is one of a number of artists who have used their experience in graphic design and illustration as inspiration for urban art in Buenos Aires. 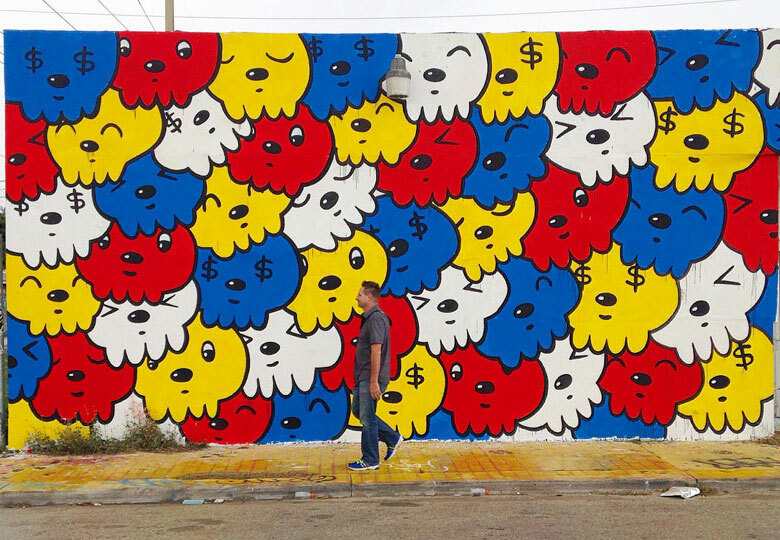 Together with other artists from similar backgrounds, Sonni helped to define a local movement that is referred to as muñequismo, a style of street art defined by its playful cartoon aesthetic. Having studied graphic design, Sonni has also worked as an Art Director for animation and film companies. His artwork is a celebration of playful child-like imagination, often with a hint of irony. 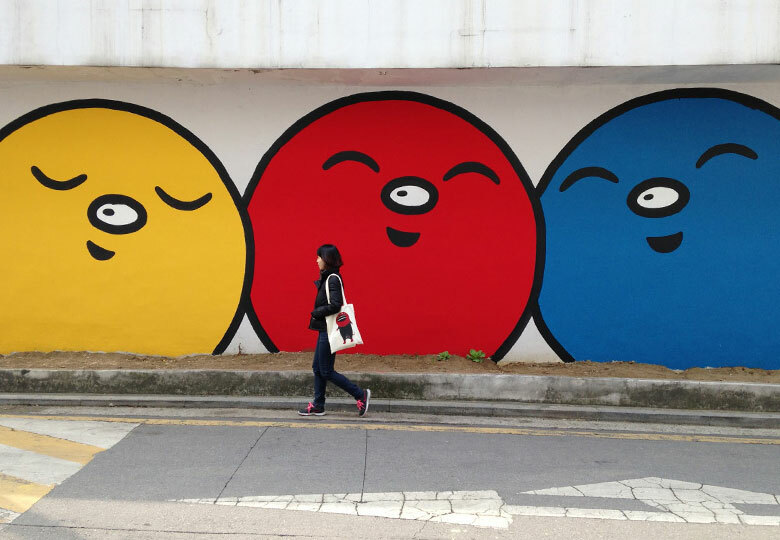 He seeks simplicity through the use of primary colors and a cast of cartoon-like characters elaborated from geometric figures. Sonni creates with a range of mediums and supports, including public murals, illustration, acrylic on canvas, and wooden sculpture.